A Japanese online media called “My Columnist” covered our activities. Also Tokuhashi reveals his “philosophy of interview”. The article was delivered on April 5, 2016. *Written in Japanese. A Singapore-based online media called “Tech In Asia” covered MET and a backdrop of Tokuhashi’s career history. The article was delivered to all over the world on January 30, 2016. 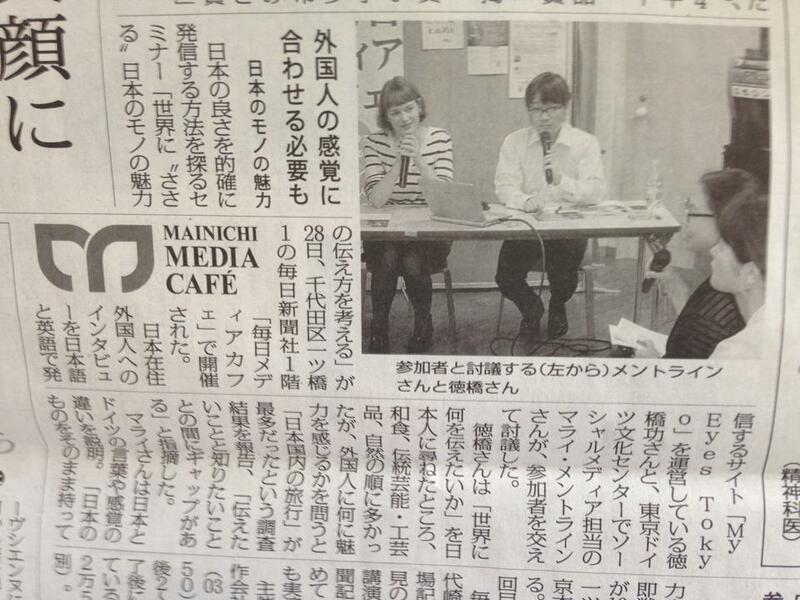 Mainichi Shimbun, one of Japan’s 3 major newspapers covered our event held in Mainichi Shimbun Headquarters (September 29, 2015).